What is new at The Steeplechase at Callaway Gardens? New to The Steeplechase this year is the addition of the Southern Living Pop Up Shop located in the Pavilion in the Terrace level, featuring vendors from endorsed by Southern Living. The Hunt Club is also a new addition to our Hospitality options. Geared toward Young Professionals, the Hunt Club is an all inclusive hospitality chalet located at the Top of the Turn. Complete with lunch, beer and wine, and entertainment, this is the newest hot spot at Steeplechase. The Cannon Brew Pub at Steeplechase will be available again in the TSYS Infield, with an added tent located near the Kid's Corral. Click on race activities for complete schedule. 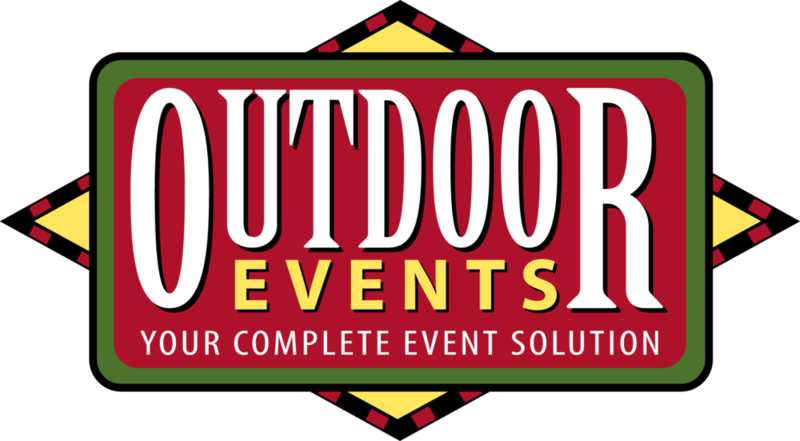 You may purchase Tent Packages, Box Seating and Individual Infield Tickets from this website, by calling our office at (706) 324-6252 or by visiting our office at 1747 Warm Springs Road, Columbus GA 31906. Office hours are Monday – Friday, 8 a.m. – 5 p.m.
What kinds of corporate entertainment packages are available? Visit our ticket booth for details about our tents, or call the Steeplechase office (706-324-6252) for a customized tent package to suit your party’s needs. How will I receive my tailgating tickets and information? All tickets are mailed in mid-October. Tickets purchased 10 days or less prior to Race Day must be picked up at Will-Call location. Will-Call is located at the Front Gate off Nelson Road as you turn onto Steeplechase Drive. If I had a reserved box or rail last year, will I receive the same box or rail this year? Your reserved space from the previous year is held until July 31st of the next year. If not renewed by this date it is released for sale. Tents sold the previous year are held until June 1st of the following year. Due to the popularity of our tents, a nonrefundable deposit of one-half of your package is due June 1st, with the balance due September 1st. What is the reserved space renewal deadline for the race in November? The deadline for tent renewals is June 1st. All other renewals are September 1st. At that time, all unpaid spaces will be released for purchase on a first come, first served basis, and immediately assigned to those new guests that are on the waitlist. You can sign up for the mailing list by emailing us or by calling our office at 706-324-6252. Does Steeplechase at Callaway Gardens take credit cards? Yes. Visa, MasterCard, Discover, and American Express. The pony races start at 12:00 p.m. and the first National Steeplechase Association sanctioned race is at 1:00 p.m.
No, the races run rain or shine. There are absolutely NO REFUNDS. Gates open to the public at 10:00 a.m. and the last race is run at approximately at 3:45 p.m.
Where is The Steeplechase at Callaway Gardens located? Yes, please see directions and accommodations. Parking is available at the Front Gate which is located on Nelson Road just before you turn onto Steeplechase Drive. You may take a shuttle into the Race. How do I find my friend’s tent/parking space? See the members list and guest map located in the race day program which should be in all box seats and reserved rail locations, or they are available in the souvenir tents. How long does the Shuttle Service run? The shuttle service runs from 10:00 a.m. continuing throughout the day. The last shuttle leaves at 6 p.m.
We encourage tailgate picnics in all parking areas. Bring all your own food, drink, table and chairs. We ask, however, that you not bring a tent. If you are in general parking and hold an Infield ticket, please do not set up a picnic in the reserved parking areas. Please keep your tailgate with your car or guests you are meeting. Tables and chair rentals are available in all of our Tent packages and the Stretch Patio. Terrace and Top of the Turn Boxes include chairs only. Additional tables and chairs can be ordered by calling our office. Is there music allowed at the reserved parking spots? Music is allowed as long as it does not impact upon your neighbors. Afternoon dress is suggested for this event. Women guests at the Guarantor Tent Party customarily wear what is considered Country Hunt Casual. That would be skirts, sweaters, slacks and hats for the women. Men wear sport coats and ties. Attire in the box seats, tents and reserved rails is marginally more relaxed – we recommend a sportswear look for women and khakis for men. For general admission, shirt and shoes are required. Dressing with the theme in mind and according to the weather is always a good rule of thumb and adds to the fun and overall atmosphere. Free public sanitary facilities will be available everywhere. Are there food concessions on grounds? Yes! Both the Terrace Level and the TSYS Infield will offer concessions this year. Be sure to visit the Cannon Brew Pub at Steeplechase located in the TSYS Infield. Are racing fans allowed to visit the barn area? Generally visiting the barn area is reserved for Owner Trainer Rider (OTR) and Guarantor tickets. Tents or umbrellas other than those reserved through The Steeplechase at Callaway Gardens, grills, ATV’s or four wheelers, and dogs unless they are on a leash. Signage is not permitted unless it is authorized by the Steeplechase office. Are there provisions for handicapped persons? Yes, please call the Steeplechase office at 706-324-6252 for specific information.